All the plants filled into one huge box. Look at this Parana pine which was grown from seeds in Pattaya acquired from Sao Paulo. This plant (Araucaria angustofolia)is now 17 months old and will later produce delicious edible seeds, little known in Thailand and Laos. Old branches are cut of this Araucaria angustofolia. 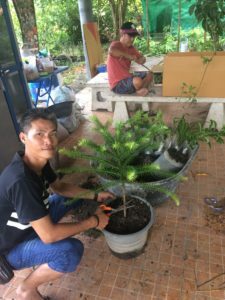 In order to get this Parana pine into a box that can be shipped to any location in Thailand or Laos, our gardener cut off useless branches. Weight and volume of this Araucaria angustofolia were reduced for the shipping within Thailand or Laos. Our gardeners took the Spanish lime (Melicoccus bijugatus), our Calabash tree (Crescentia cujete) , our grafted avocado tree (Hass and Booth 7 varieties), the figs, the rare Pandanus utilis, the very beautiful Passiflora incarnata, the yellow lemon and our cocoa seedling and took away most of thee dirt off and packed the dense roots in a tight plastic bag. Thus weight and volume were reduced in order to pack and ship them to any location in Thailand or Laos. 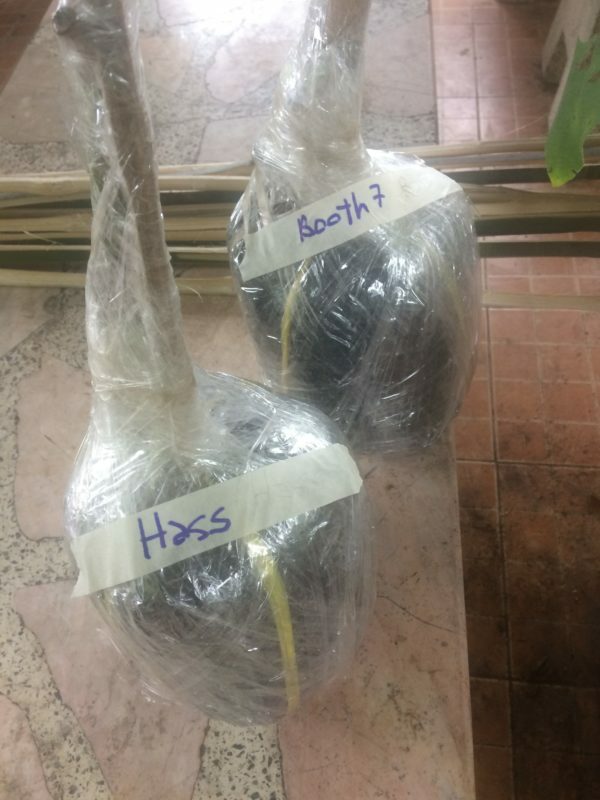 Hass and Booth 7 avocados for sale in Thailand or Laos. That is how our grafted avocado trees (Hass and Booth 7 varieties) finally looked. That is how the other rare plants looked. 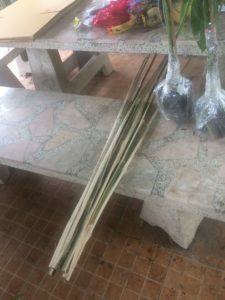 We prepared many bamboo sticks and locked all the plants very well to send them to any location in Thailand or Laos. 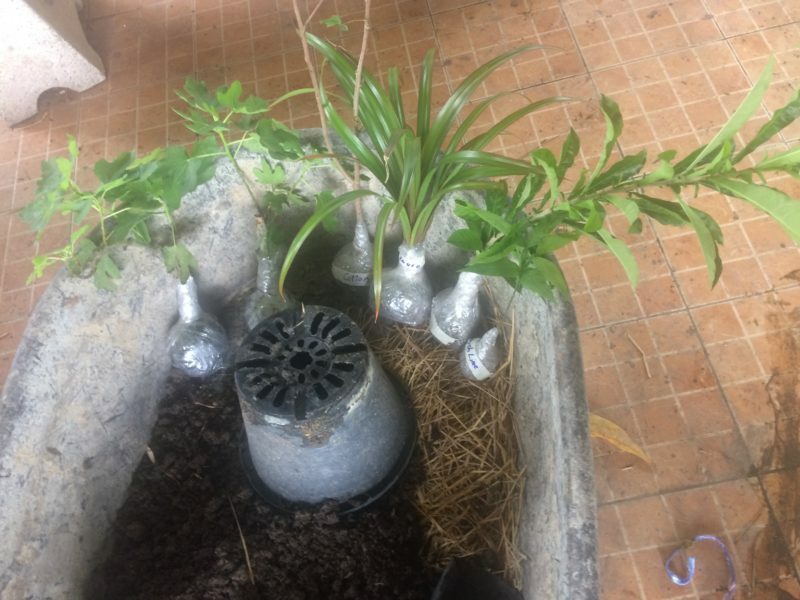 Bamboo sticks to lock in the precious plants. 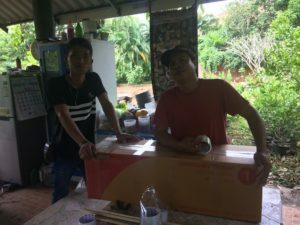 Then we took one of the oversize boxes in which we sent out our Spanish lime (Melicoccus bijugatus), 1 Calabash tree (Crescentia cujete) , each 1 grafted avocado tree (Hass and Booth 7 variety), 4 figs, 1 Pandanus utilis, 1 Passiflora incarnata, 1 cotton plant, 1 yellow lemon and 1 cocoa seedling to places in Thailand or even Laos. The box that houses the plants is still flat. My name is Richard and I have a noncommercial organic farm in Issan. It is one of the driest areas in the country with pretty straight clay (din neiow) soil.. I do have access to water with every few year flooding. I’ve tried exotics before without much success. From my experience, cacao like more volcanic soils. I am interested in your other plants and seeds. Also I have some plants you might be interested in and could benefit this country. thanks for your message. 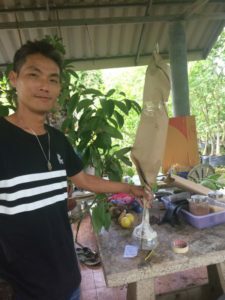 We have the same clay in Nong Khai, but cocoa does all right there. 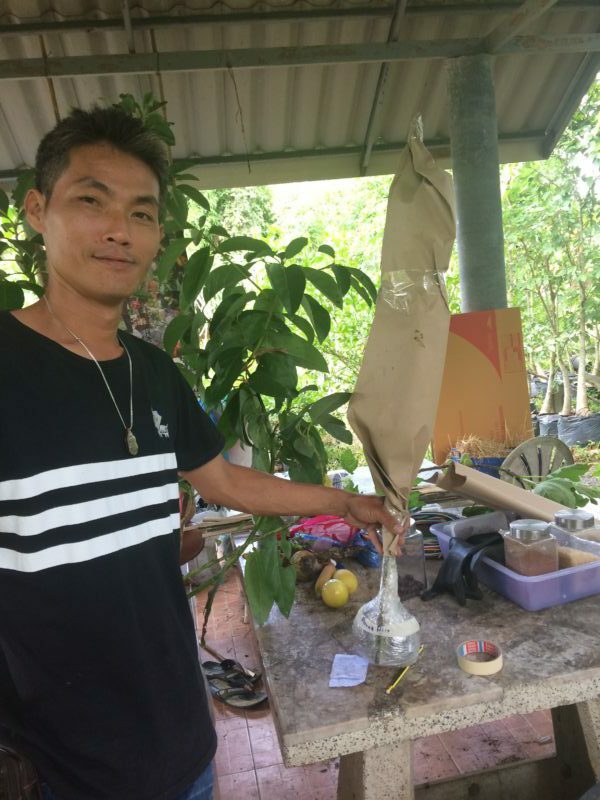 But in general, growth of all plants in Nong Khai is much slower than in our Pattaya location. I have attached a price list, just as a basic overview of what plants we have. Barter or exchange is always possible.